Speedballs are excellent for precision training, shoulder endurance and hand-eye coordination. They one of the key tools used by boxers to prepare for a fight. The speedball--also known as the speed bag--hangs on a swivel hook at a height slightly above eye level. It is a staple exercise for all boxers. The Adidas Boxing Speedball is made from the revolutionary new PU3G Innovation, a new material that looks, feels and performs like leather and is extremely strong. It continually absorbs perspiration while it remains flexible and resistant to cracking. 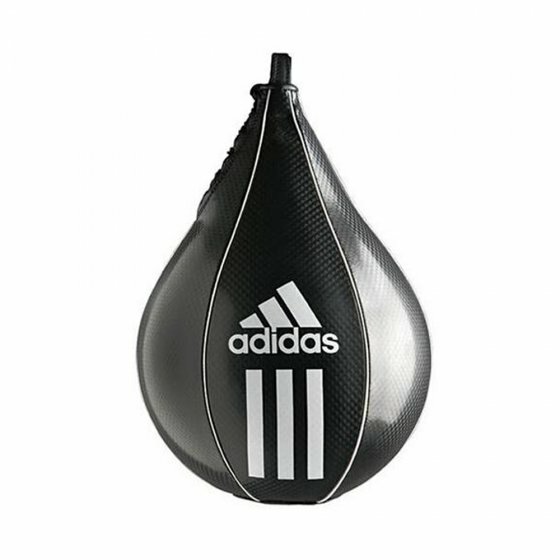 The Adidas Boxing Speedball also has a changeable latex shell butyl valve bladder and lace closing.